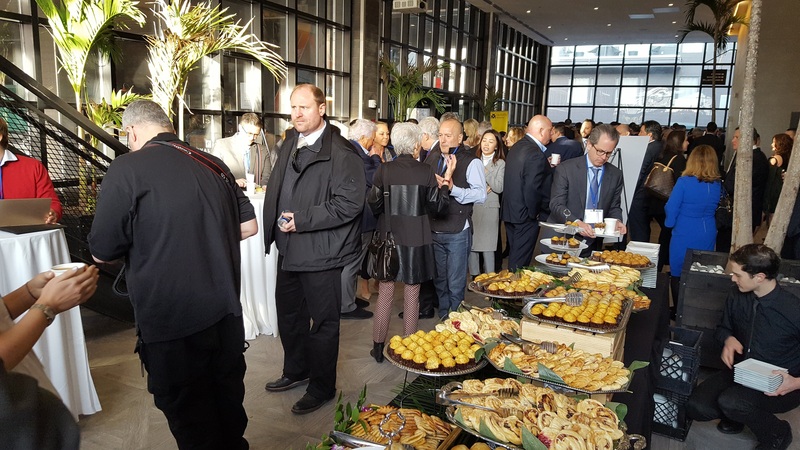 Every year since 2012 I have marveled at the growth of the LIC Partnership’s Annual Real Estate Breakfast This year was no exception, as the newest location (as of last year), the Ravel Hotel, could barely contain all the attendees, as opposed to being almost full last year. Nevertheless I couldn’t help but analogize the burgeoning interest in Long Island City Real Estate to other buzzy locales. Are we at the Bushwick or Williamsburg phase of development? Or has LIC jumped the shark? Or maybe I’m being too critical, as seven years covering the local beat counts as “experienced” in LIC whereas one would just be finishing up an apprenticeship in Manhattan. Or I’m just jaded. Anyway, as in the recent past the focus of this year’s breakfast was primarily on office space. Interesting tidbits included the owners of the Citi Building in Court Square semi-confirming recent rumors they have leased a big chunk of the tower in the wake of Amazon’s departure, and are hoping to announce some big transactions in the next few weeks. Andrew Kurd, the speaker representing the owner Savanna, stated that asking rents were in the mid to high $60’s but net of concessions and incentives the net price to lessees is nearer to the low $40’s, a 30-50% discount to Manhattan. Also he talked about repositioning the Citi tower’s 5-story retail annex without anything concrete, a continuation of the slow-motion of three years ago. Another presenter was from a REIT specializing in the catchall buzz phrase “Life Sciences,” whose firm recently purchased The Bindery building near La Guardia College at a nice premium. Lotsa hope about turning LIC into a life sciences hub, maybe? Nearer and dearer to my heart is The Wirecutter, a NY Times affiliate that does product reviews, which plans on moving 40-50 employees into their new testing site in the industrial quiet-land of 12-01 44th Ave. sometime this summer. What wasn’t mentioned in all this talk of real estate and riding the cutting edge, and something outsiders – of which there were many in attendance – are completely unaware of, is the role the former HQ2 site will play in LIC’s commercial future. Or not as the case may be. Yeah, it’ll definitely be overwhelmingly residential, with the requisite nod to some industrial/office space so everyone can use the phrase live-work in press releases and ground-breakings, but will it exist solely in isolation? 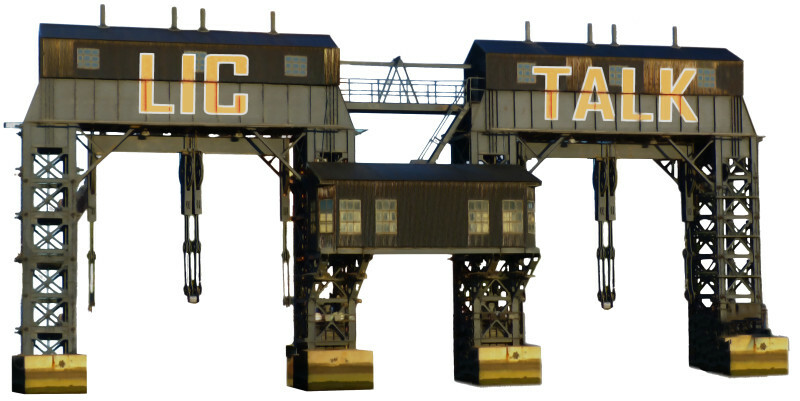 Or will it be the gateway for the new economy to beat a path to Long Island City and leave the Amazon saga behind? More specifically, will there be a pedestrian/bike bridge to Cornell Technion from this plot of land? For all the hopes and dreams above to come to fruition, this is what is needed. Dedicate a landing site and absorb the $50-100 million expense of the bridge over the 22 acres around Anable Basin, and all real estate in Long Island City is instantly worth 10 – 20% more. That’s how you do it boys – next year I’d like to be on the rostrum. //SPEAK of the devil, there will be a meeting next Tuesday, April 9 at 7:30pm to create a comprehensive community-centered RFP for the Anable Basin site. It’s sponsored by the Hunters Point Civic Association and will take place at the Irish Center on Jackson Ave.
//I have to say that I was disappointed to read in The Court Square Blog that the beautiful high-ceilinged retail space at 22-22 Jackson Avenue across from MoMA PS1 is going to be a waxing spa. Such is the state of retail in the 21st Century. Or is it retail in LIC? //ENDING on a high note, there’s a great story about City Harvest and the role it’s Long Island City location plays in gathering and dispensing it to the hungry. Click below to read. Uni K Wax Studios Coming to Retail Space at 22-22 Jackson – and they’ll be using the 300 sq ft patio for? 22-22 Jackson Ave Retail Site Brochure – high ceilings for? Industry City in Sunset Park is a vibrant work/retail environment. It is less convenient to access than the Anable Basin area yet it gets packed with visitors on weekends. This would be a great model for Anable Basin.